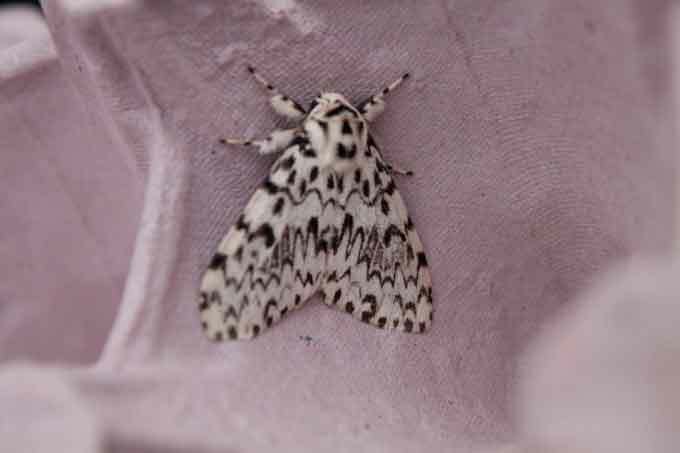 At 9am on a somewhat overcast Saturday morning, 8 members gathered in front of the visitor centre at Mannington Hall, where Greg Bond and other moth experts were to unveil the contents of moth traps which they had set up at different places in the hall grounds the previous evening. It had been a warm night, and there had been rain, but Greg told us that moths liked rain. He explained the different types of trap, basically boxes with a light to attract moths, a cover to keep them in and something for the moths to rest on, normally old egg boxes. 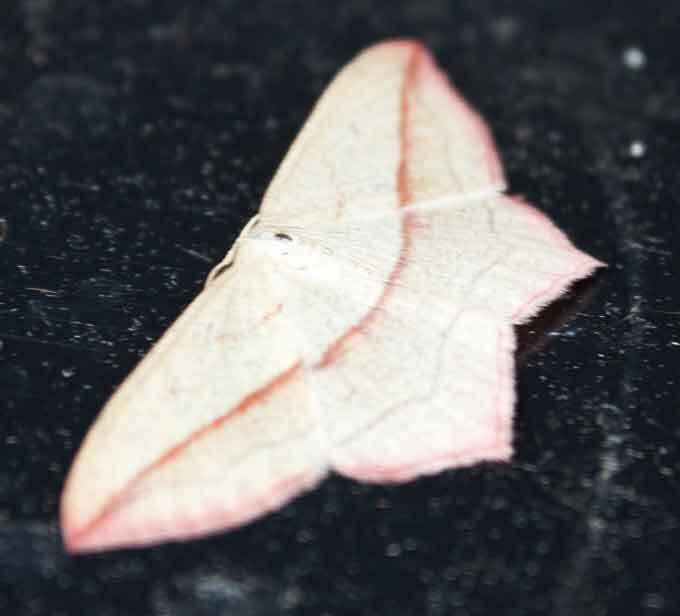 We were told about moths and micro-moths, but apparently some micro-moths can be larger than those which are not micro-moths; most micro-moths tend to have only Latin names. Greg started unpacking the traps; each section of egg-box had multiple moths on both sides of it; surprisingly, they did not try to fly off when removed from the trap; the exception were the Yellow Underwings, which nearly all flew immediately. 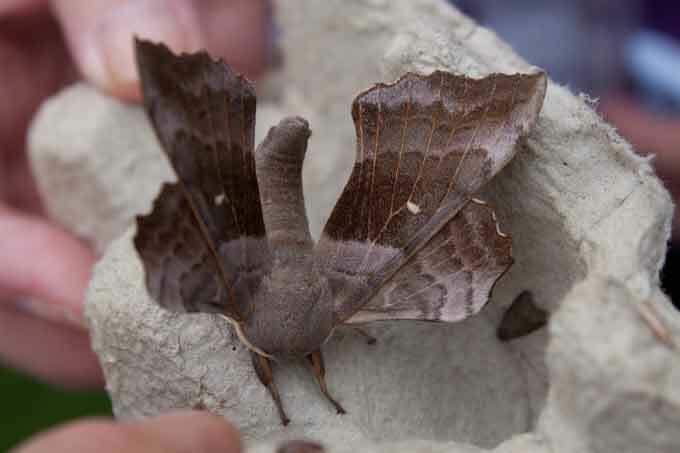 The full list of species from the traps runs to 98 including such treats as Bird-cherry Ermine, Lappet, Early Thorn, Drinker, Dot Moth, Ruby Footman, Copper Underwing and July Highflyer; however the ones that drew the most attention were the hawk moths, one beautifully-coloured Elephant hawk moth and several of the more cryptic-liveried Poplar hawk moths. 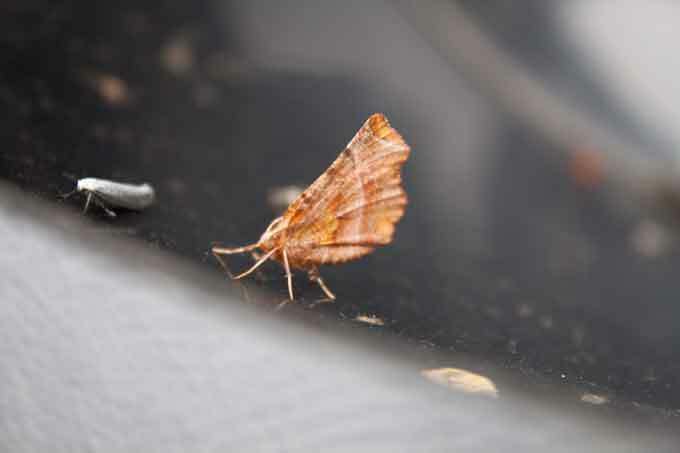 Moth traps collect more than moths; included in the night's haul were several red orange and black Sexton beetles, a hawthorn shield bug, caddis flies, mayflies and the odd crane fly. Thanks to Greg and his associates for explaining the contents of the traps.